Putting a large event together can be stressful and complicated with multiple aspects to worry about. 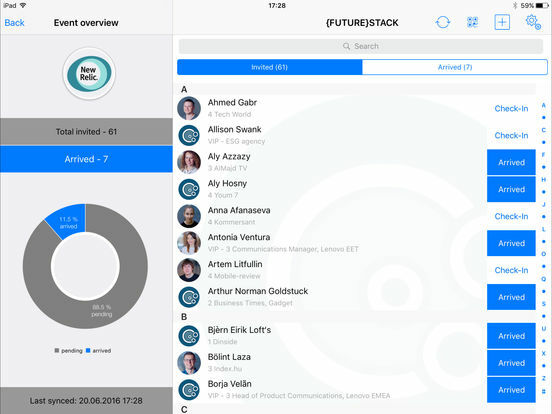 Mobile app technology can minimize the stress and help you stay organized and on top of all the moving parts so you can pull off the event with aplomb. Here is our list of the best event planner apps for iPad. 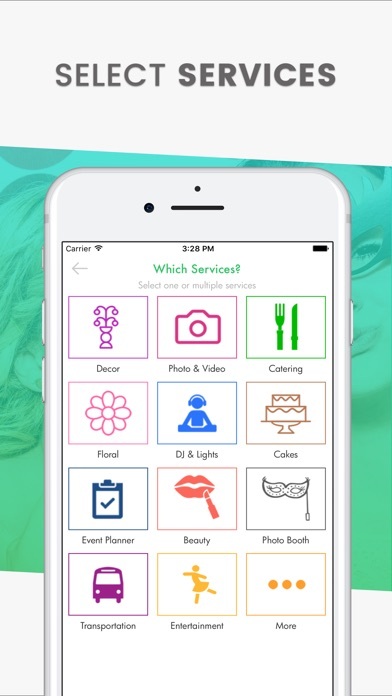 This all-encompassing event planning app will turn any iOS user into a pro event planner. 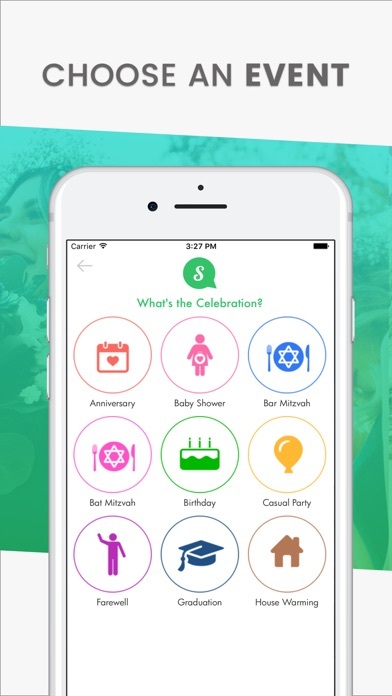 This free app gives its users the ability to plan out any type of event be it a baby shower, regular birthday party, or a wedding. It helps users search for various types of vendors and services. 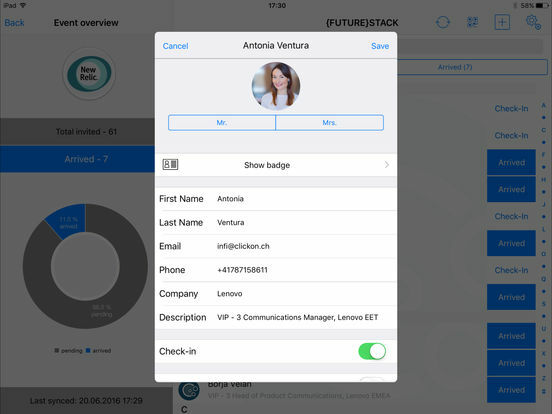 Rather than seeking out the best one, the app alerts vendors and they contact the users from within the app. This way all the vendors can be spoken to in one place where users can chat, view vendor profiles, and even make deals. 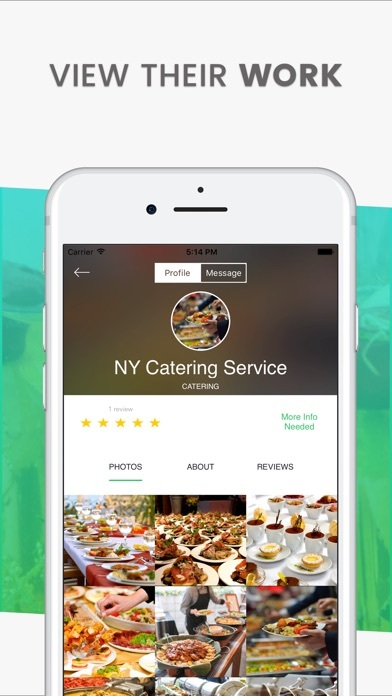 From DJs to bakers, this app has a wide range of vendors to cater to all kinds of events. Diobox gives you everything you might need to manage guests and events and to control all aspects of the event you are planning, from the beginning to the end. 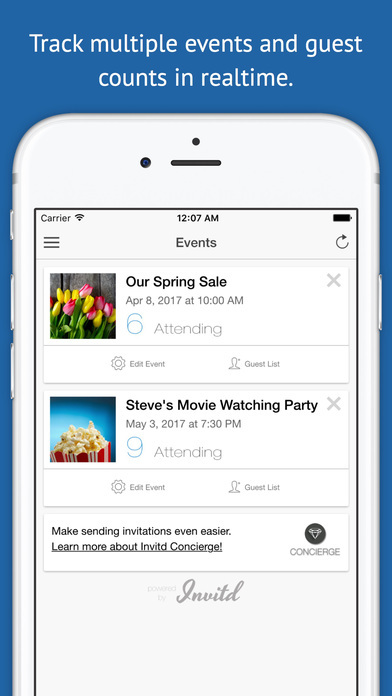 You can create events, import contacts, assign multiple guest lists, create and track guest activities, manage invitations and RSVPs, check in guests and their Plus-Ones, and arrange seating and tables. You can view detailed analytics like guest responses to RSVPs, number of times a guest opens and clicks an invitation, and answers to questionnaires. 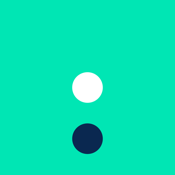 This app pushes your data to all your devices in real-time. 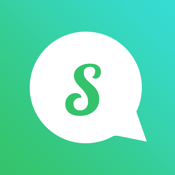 SquadUP lets you create and manage events on your iPad, send invitations, create a customized event page for mobile and web that integrates easily with all social media channels, and you can access all of your SquadUP events. 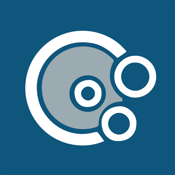 This app is perfect to manage fundraisers, networking events, conferences, parties, concerts, and more. You can check in guests, share photos, message event attendees, and curate content from Instagram, Twitter, and Facebook with event hashtags. There's even a Social Gallery where guests can look at videos and photos before, during, and after their events. 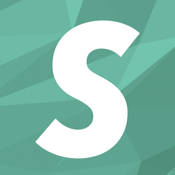 Use the app to search by interest, name, location, or host, and discover featured events. 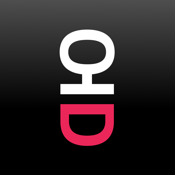 Invitd is an RSVP app that sends personalized invitations using text message. 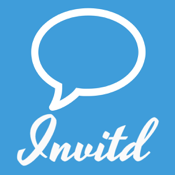 You can get responses immediately and it's easy to track when people see their invitation. Save yourself money on stamps and get going! 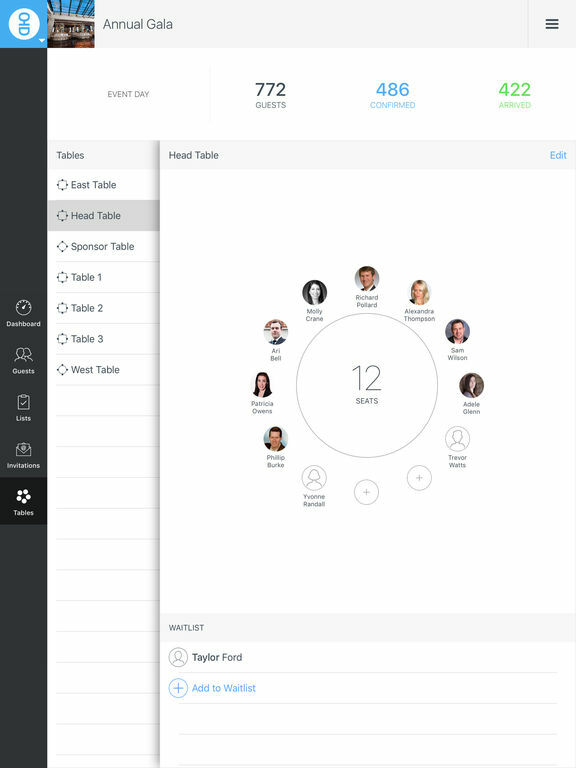 Just create an event and start adding your guests. Send each guest a text message that has a unique link to view their invitations. They do not need the app to view and it takes them just a touch of the finger to respond. 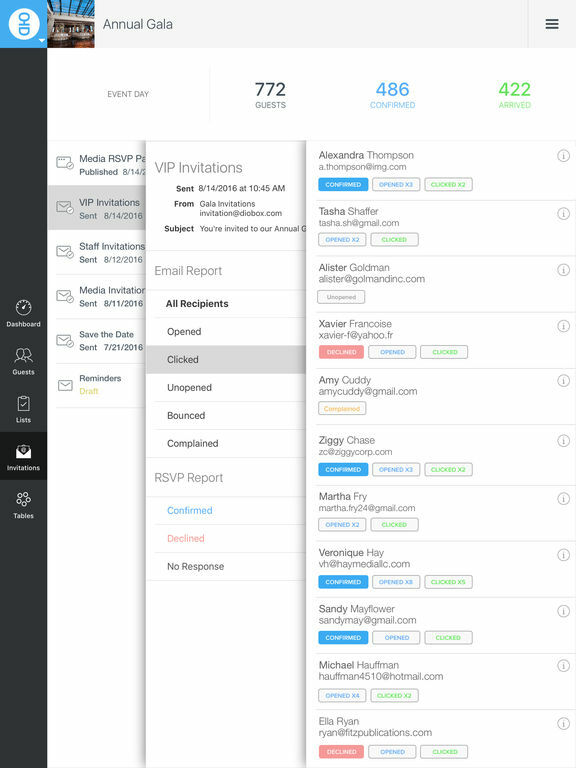 You can track opened invites, RSVPs, and number of guests attending. When a guest responds, you will get a notification. 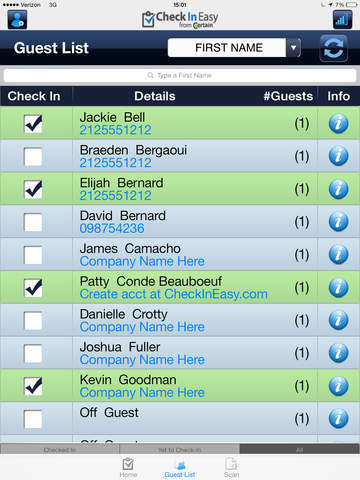 With just a few taps, users can create guest lists easier and better than ever before. 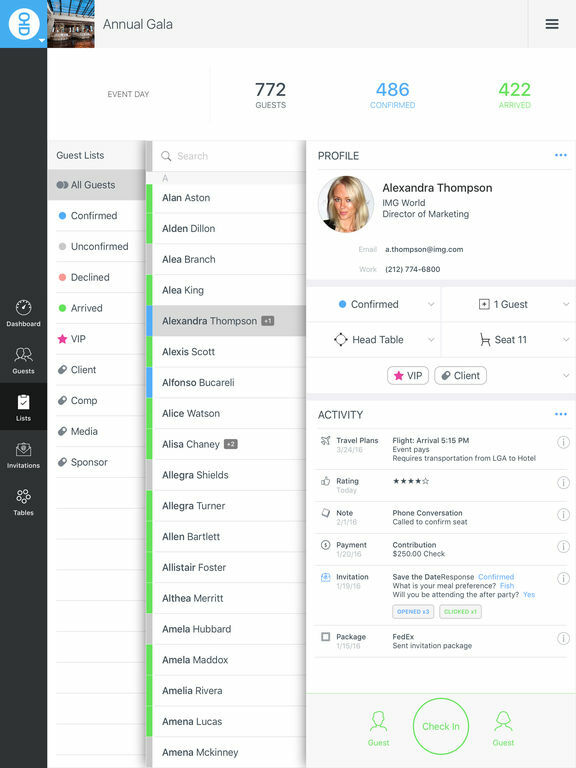 This app is designed for individuals, PR agencies and event planners. 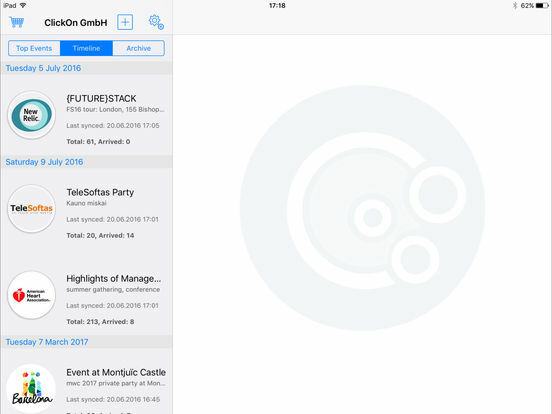 No need for paper lists anymore as this app has all the features you need or could dream of. Start off by logging in with your Facebook account, then start creating your guest lists and use Excel to do so. Check-ins can be done offline, set up QR-code badges, send invitations to guests with RSVP we page for registration, support for Mailchimp CSV exports, add guests if they walk-in and more. There are in-app purchases for a subscription based system. 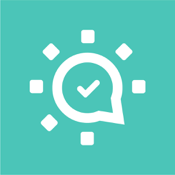 No matter if you need to manage two guests or 20,000, Check In Easy will help. Use it for guest registration, check-in, and management at events. All you have to do is sign up for an account online and then upload an Excel guest list and you're ready. 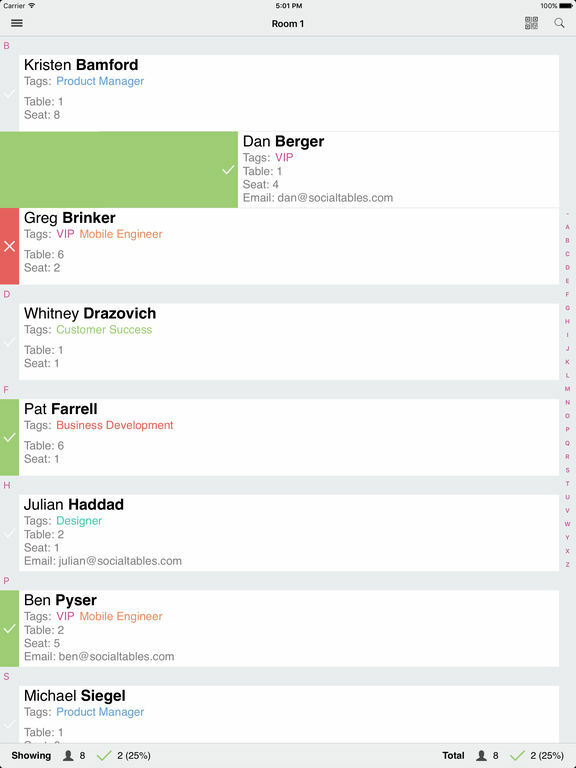 Get rid of those clipboards and paper because the app will do all that for you. 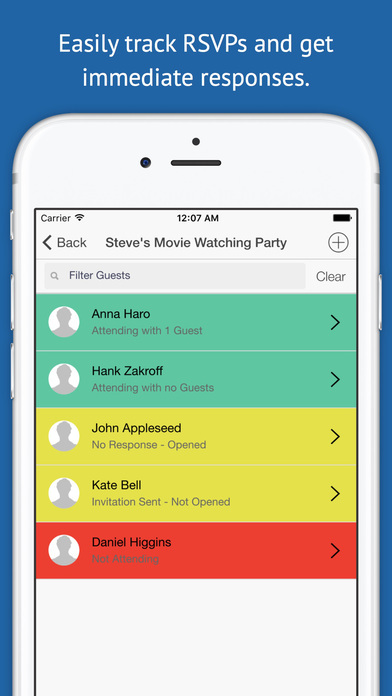 You can easily add guests as you need to, and you will get text and email alerts when important guests arrive. 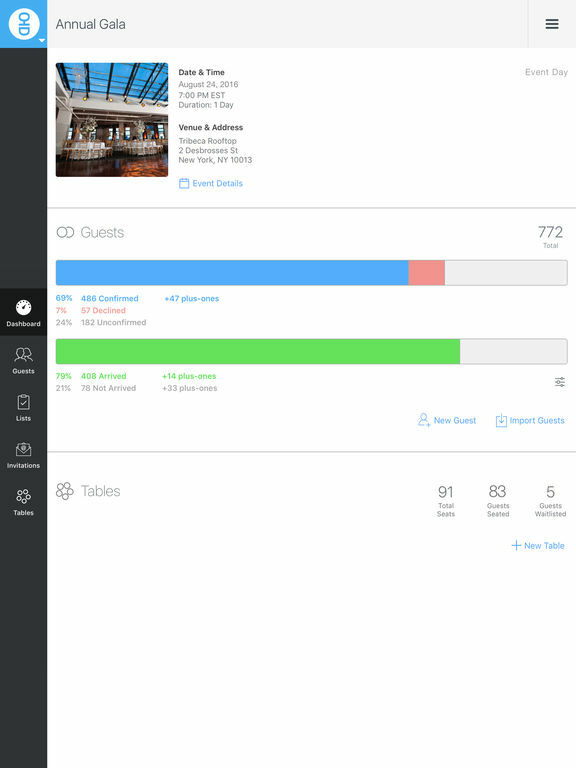 You can search for guests, ask custom questions at check-in, get live stats, collect signatures at check-in, and more. 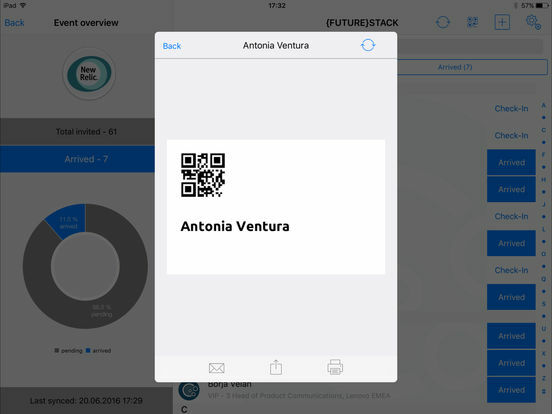 There's an integrated ticket scanner that allows you to send your guests printable tickets with their own unique bar codes, and you can have more than one device running the app for check-in. 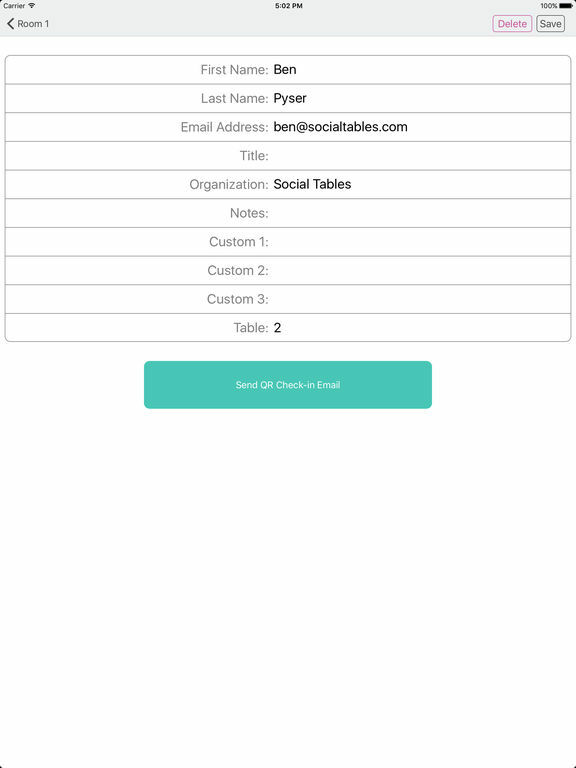 If you're tired of using Excel or paper and pencil to keep track of guests when they check in, try Social Tables Check-in. 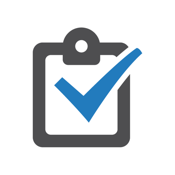 It's fast, secure, and professional, so you can rest assured knowing your guest list is safe and will allow you to easily and quickly sign guests in when they arrive. You can keep track of what table they will sit at, their title, which organization they work for, and what meal they have chosen. 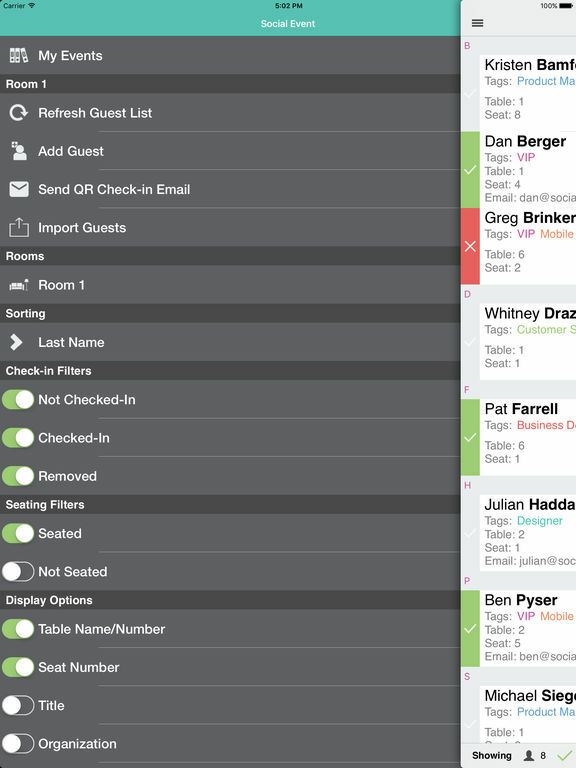 It is easy to add and edit guest lists and fields include a space for notes. 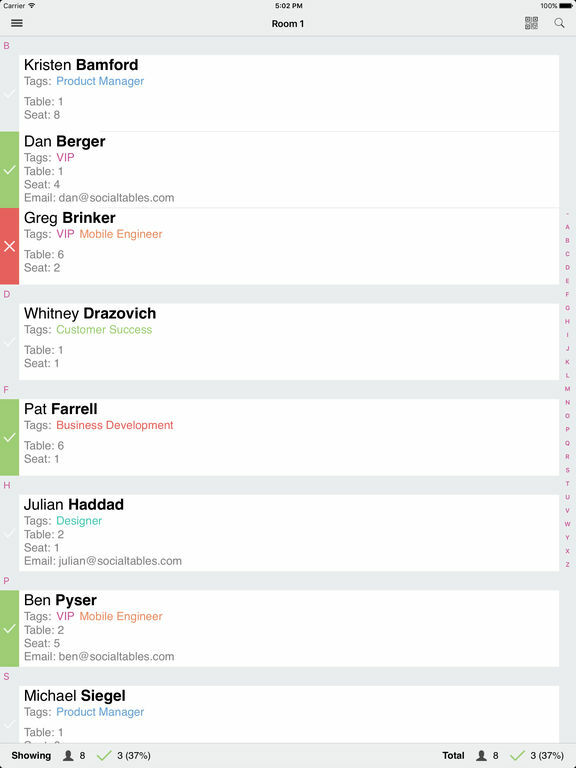 Once you use yada once, you'll never use a different event planner again. 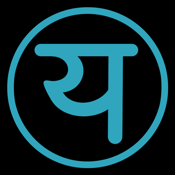 It doesn't matter what kind of event you have to plan, yada will help. No event is too big or too small. Create an event page, add photos, descriptions, and additional info pages as needed. You can set the event to private, public, ticketed, or moderated. Invite your guests or use QR codes or short links to share on social media if your event is set to Public. 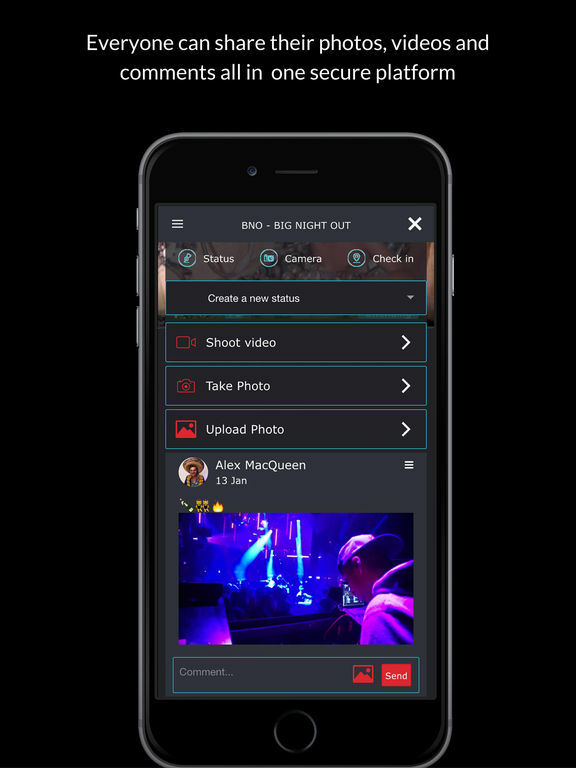 Your photos, videos, and comments will be combined into a real-time slide show using LiveView that can be displayed on walls and screens around the venue, or watch later on your iPad. 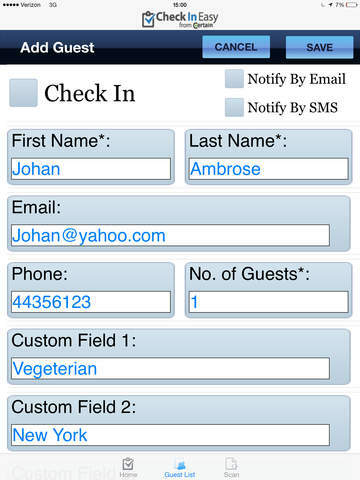 Create an event, create your guest list, and PurpleSlate will send a text message inviting your guests. 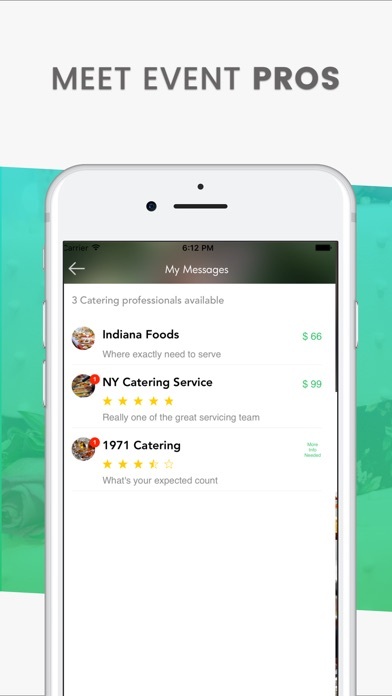 They download the app to respond to the invitation and the app becomes a way to connect and share the event afterwards. 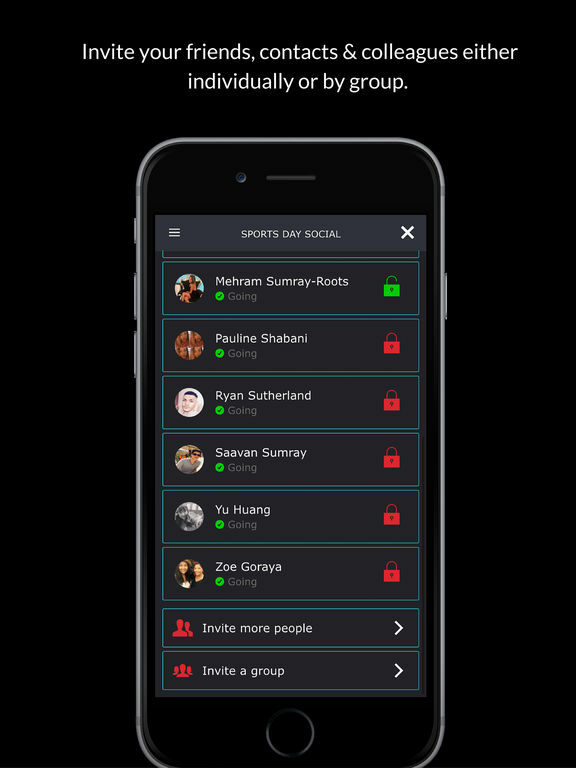 Whether you are planning a date night or a huge party, this app lets you send invitations fast, straight from your contacts. 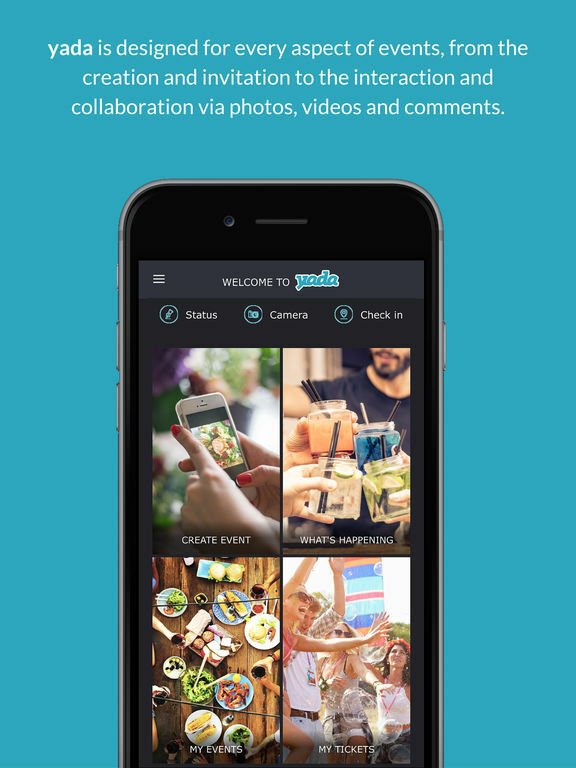 You can share photos, videos, and messages with guests, and personalize your invitations with Photo Editor. There is also a chat option. 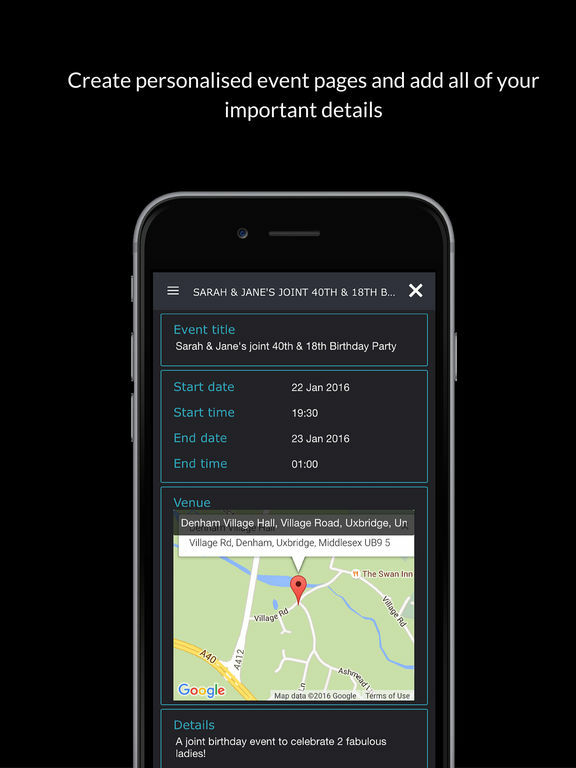 Sync events in the Calendar, add reminders, and get a live news feed of your personal events. 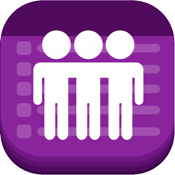 This is an event-based task manager that allows you to plan and manage your upcoming events. It's a simple to-do list and day counter that you will use to help relieve the stress and disorganization that comes with planning large events. Create an upcoming event or anniversary, add all the tasks you must complete before the day arrives, count down the remaining days so you can plan ahead, set reminders, and star important events. You can also share an event poster. The user interface is simple and elegant, the app has beautiful wall papers to use, and it's easy to check off list items as you complete them.